Wow, Lisa, what a fantastic layout, love all of the symbolism you've included with the everyday elements! This is gorgeous! I am LOVING the colors in this collection ... perfect for your photo!!!!!!! So beautiful Lisa. Everything is perfect. I love this layout so much. Every year I look for Hanukkah related items. You did a great job with the lights / days of Hanukkah. 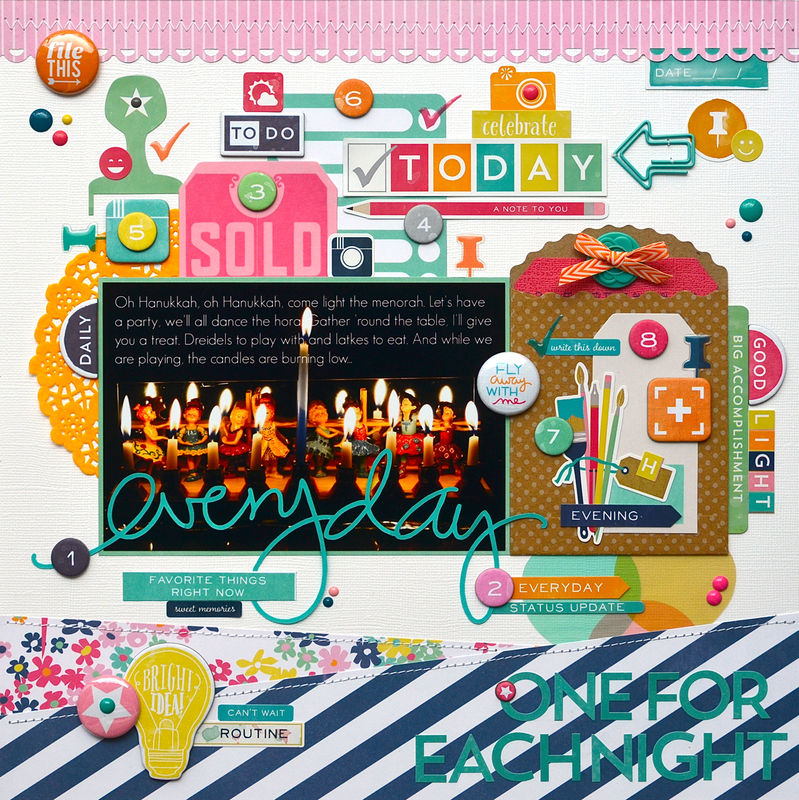 I found and bought a chipboard piece from Blue Fern Studios called Hanukkah Joy. Thank you for sharing. What a gorgeous page and a great way to accent such a special gift!! Awesome use of the collection to go with your Hanukkah photo, Lisa!! I am so UBER impressed by the way you took an every day collection and made a holiday page out of it - this layout is so superb!! It is so cool the way the picture looks and how well you have showcased it with an awesome doily and journaling pocket - your signature style!!! And what a perfect style it is - you inspire me so much!! !